Every second Monday between now and March 31st, 2011, a new 'clue' will be revealed on the K2 Hunt contest page right here on Newschoolers. Users will then have two weeks to enter by 'answering' the clue with a photo entry before the next round begins. The clues will be open to interpretation, and the more creative the entry the better. During each round, the Newschoolers community will have two weeks to vote for their favorite entries before the next clue is revealed, and the winner of each round will receive a prize from K2 Skis. 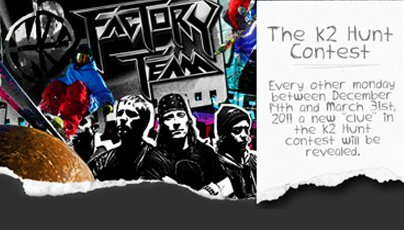 Then at the conclusion of the contest on March 31st, 2011, members of the K2 Skis and Newschoolers staff will select the overall winner out of the top 10 members who have accumulated the highest amount of ratings over the course of the contest. 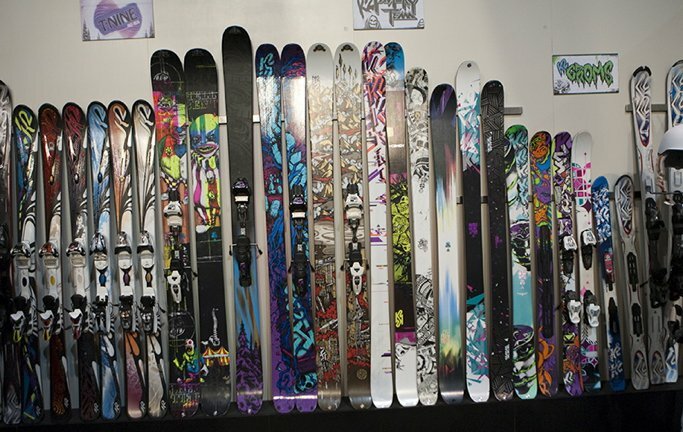 The overall winner will receive the grand prize: a pair of 2011/2012 K2 Skis, to be shipped in the summer of 2011. To see this week's clue and prize and to enter this unique contest and/or vote for your favorite entry, head on over to the K2 Hunt contest page, and be sure to stay tuned every second Monday for the new clue. On behalf of everyone at K2 Skis and Newschoolers, good luck, and happy hunting!